I am a fan of the games Portal and Portal 2. As I was thinking about them recently, I had an idea for a design. What follows is the result. 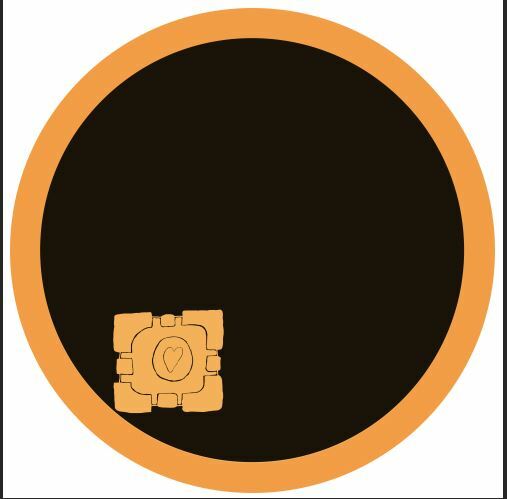 One of the obscure characters in Portal 2 is the Oracle Turret. You find it on a conveyor belt about to be melted down, and you save it. In gratitude, it starts spouting off prophecies that you slowly see fulfilled through the rest of the game. If you want to know more about that, click here, but that’s all I’m going to talk about it. 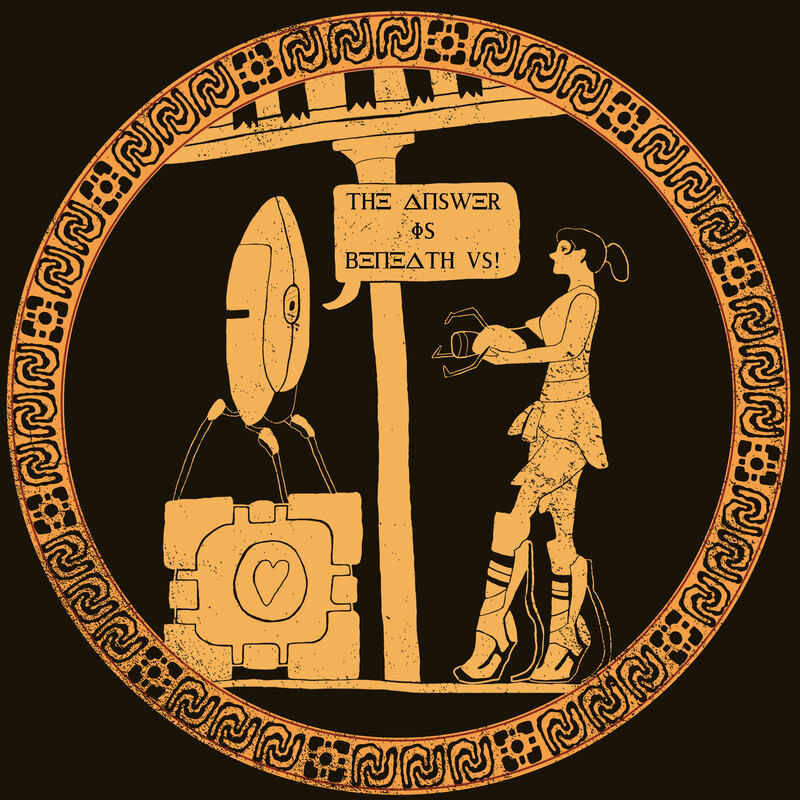 I thought it would be fun to do an Oracle of Delphi/Oracle Turret mash-up. 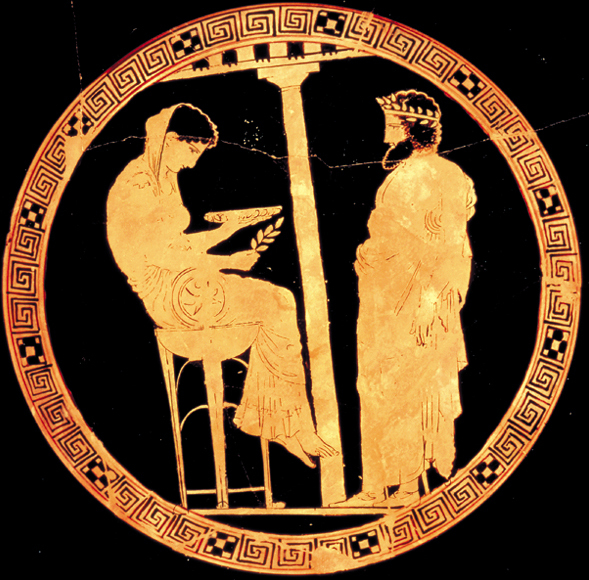 I knew that somewhere on the internet that there was an ancient design of the Oracle of Delphi. Pictured below, I decided that I wanted to parody it. You never realize what something is made of until you have to draw it. I found turrets from Portal to be an excellent example of that. My first few sketches, I tried to do from memory. That was a mistake. After staring at pictures of turrets, I learned how they were built and how everything connected. I inked in my final turret sketch. One of my biggest art fears is drawing humans. I don’t know what it is, but they never look real. That was part of the reason that I tried this composition where it was a mix of cartoon and realism. 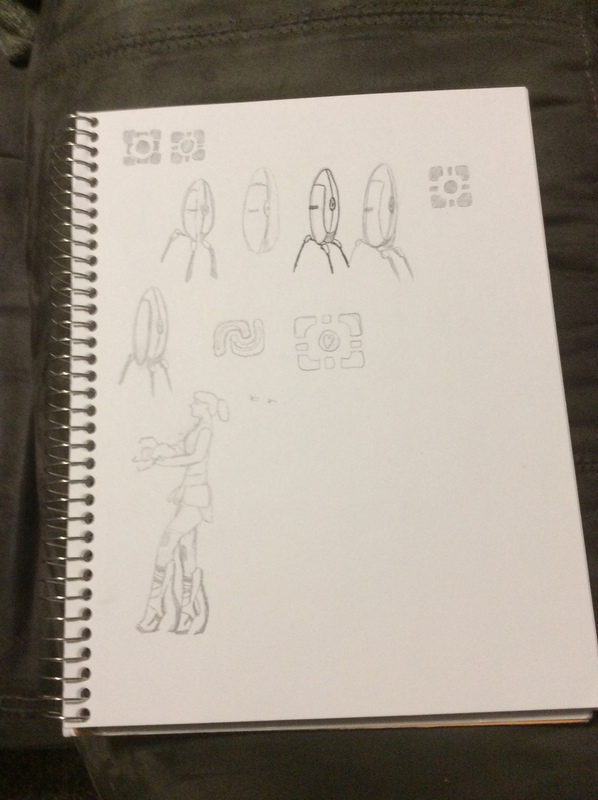 I was pleasantly surprised when I sketched Chell (Portal’s protagonist) the way I wanted my first try. 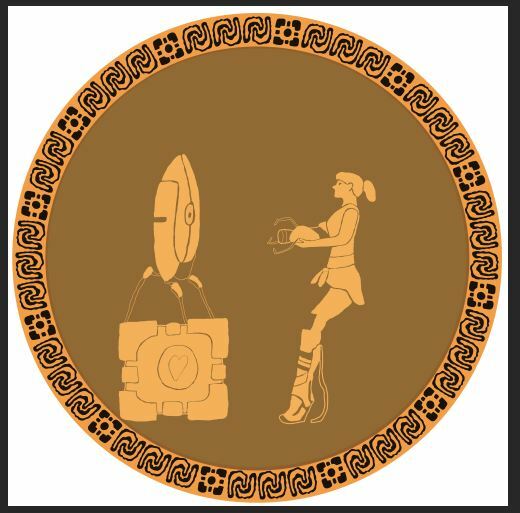 To mimic the art style used on The Oracle of Delphi, I made a mask on the inner black circle so that I could remove from it and it would show up on the orange beneath. I then lowered the opacity of the black circle and drew in my sketches. It was interesting because it wasn’t the same as traditional drawing, I had to learn when to take away, and when to leave, the black. I actually made the background circle in Adobe Illustrator, just because I know it a bit better and could do what I wanted faster. 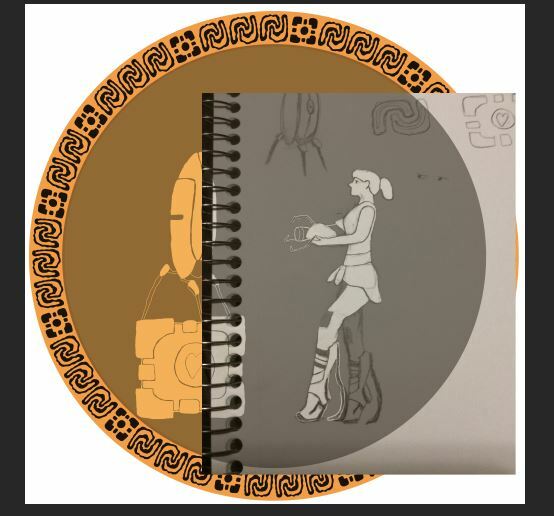 I enjoyed making the portal swirls and cubes to ring the outside in a Greco fashion. Other than some details that I polished, this was basically the finished product. 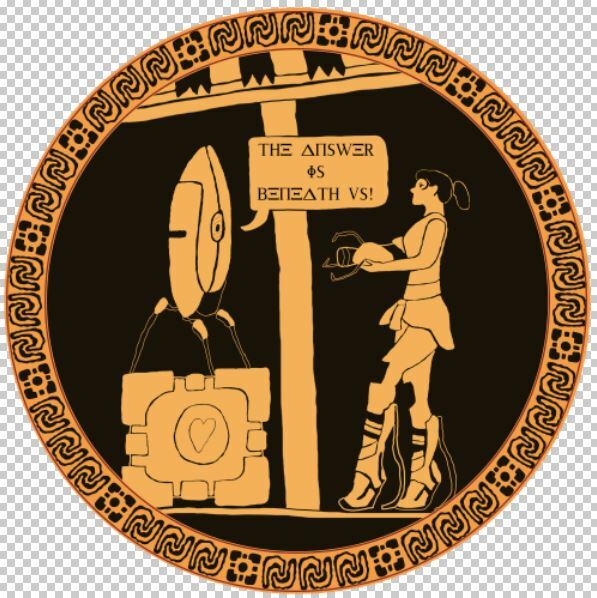 I thought it was a fun add-in to include one of the Oracle Turret’s quotes “The answer is beneath us!” in the design. I used the font “Ancient Geek” to pay homage to the origin of the original design. After some detail work and adding a texture for realism, I finished the design. It came out good, and I feel it gets the point across nicely. This design is available for sale and can be accessed here. This design has helped me to feel more accomplished in my drawing skills and has helped me get more used to my new drawing tablet. It has made it so I will likely do more designs like this in the future.